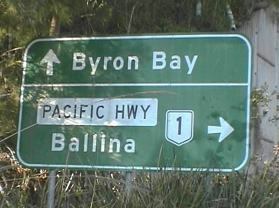 Ballina lies 25 km south of Byron Bay. It has had a bit of a negative reputation over the years, much of it un-deserved. 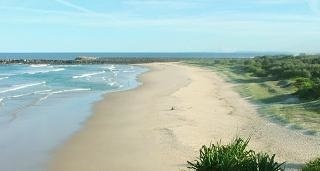 Its main problem has been having to live in the shadow of the more glamorous Byron Bay. One dry local once referred to it as a place for 'newly weds and nearly deads'. 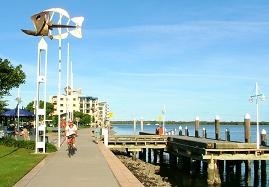 So while it will most likely continue to be shadowed by Byron Bay - there is a lot to like about the town, and it has a few things that Byron lacks.. The main airport for the area is located nearby, with buses and taxis waiting for every flight, mostly to whisk the passengers off to Byron, 20 mins drive away. Most never think of giving the town a fair go - but they don't know what they're missing..
Our job is to give you a taste of the town's attractions so you can make up your own mind. So what has it got ? Well, it's got some beautiful beaches. 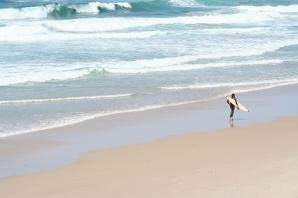 The surf's good and normally less crowded than Byron Bay which can get a bit crazy at times. It's got the river - which means you can head out fishing or whale watching. 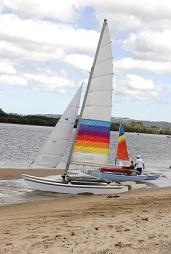 You can boat, jet-ski, windsurf, snorkel and even surf on the river. The water in the river is pristine, so no worries there, and it's normally a few degrees warmer than the ocean. 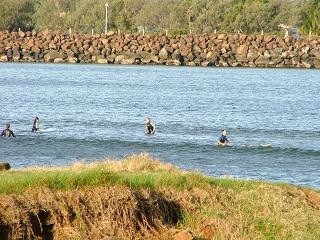 The seawalls are popular for fishing as well as just walking out to watch the surfers making the most of the breaks. It's great when the swell is up and the waves are crashing up over the rocks - a bit scary at times but we haven't heard of anyone getting washed off yet! There's a Skateboard park next to the river if thats your thing.. 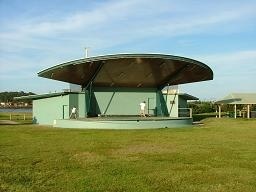 There's an amphitheatre at the Skateboard park where performances and shows are put on occasionally. And an Olympic swimming pool complete with water-slides. 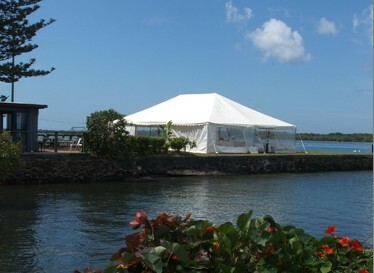 The pool is right next to the river and very close to town. 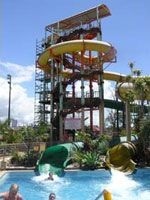 You get a great view of the area while waiting to go down the slides. The main commercial area of the town is called the Island as it is actually surrounded by water - Ballinites love to tell you they live on an island in the South Pacific. Most of the big chains and supermarkets are here. 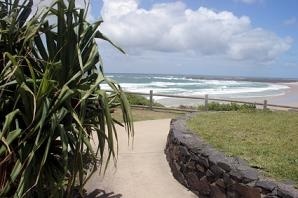 It has some good shops and 2 major shopping centres but less boutique shops, cafes and restaurants than Byron. There are some nice spots though. 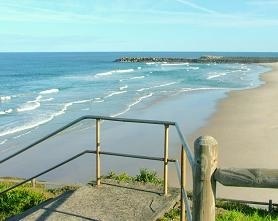 Have we got you thinking this might be an alternative to staying in Byron Bay ? We hope so, as it's well worth considering, especially if you have a young family. Make sure you check out this great areas attractions before making your final decision.